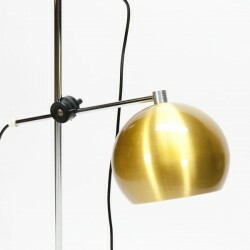 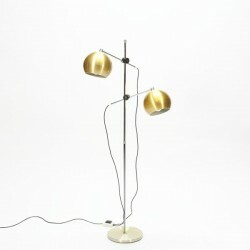 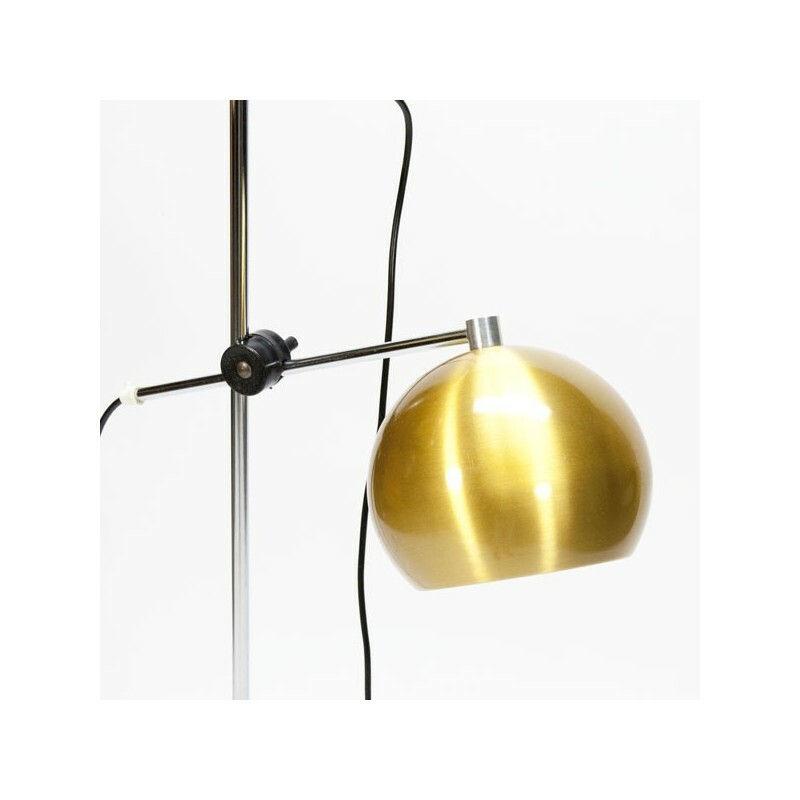 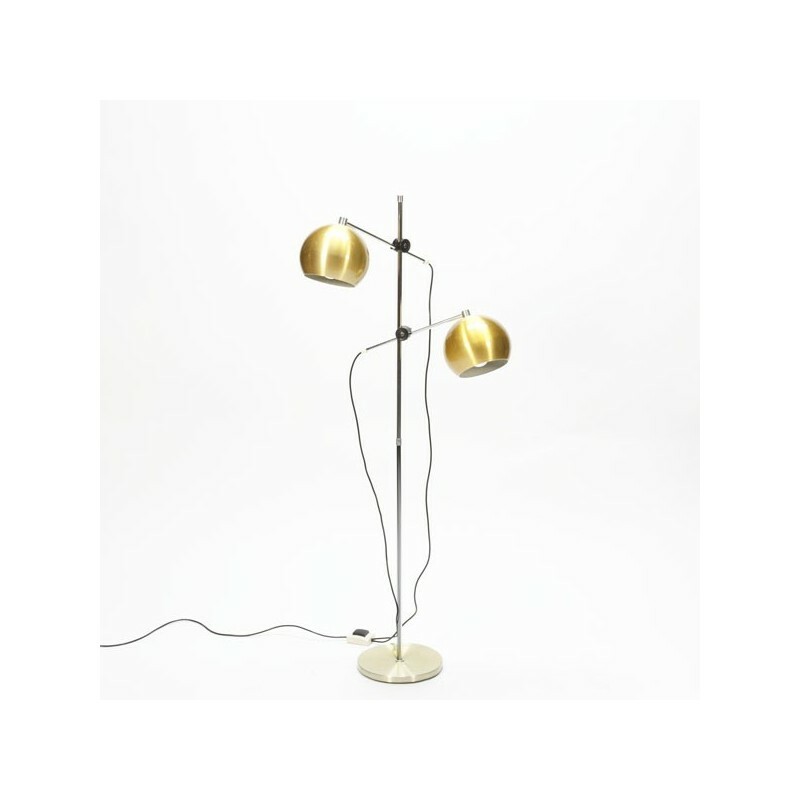 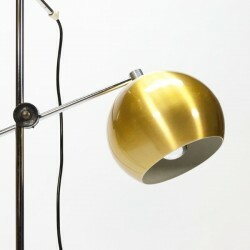 Vintage floor lamp with two balls in a yellow/ gold color. The condition is good considering the age, see the detail photos. 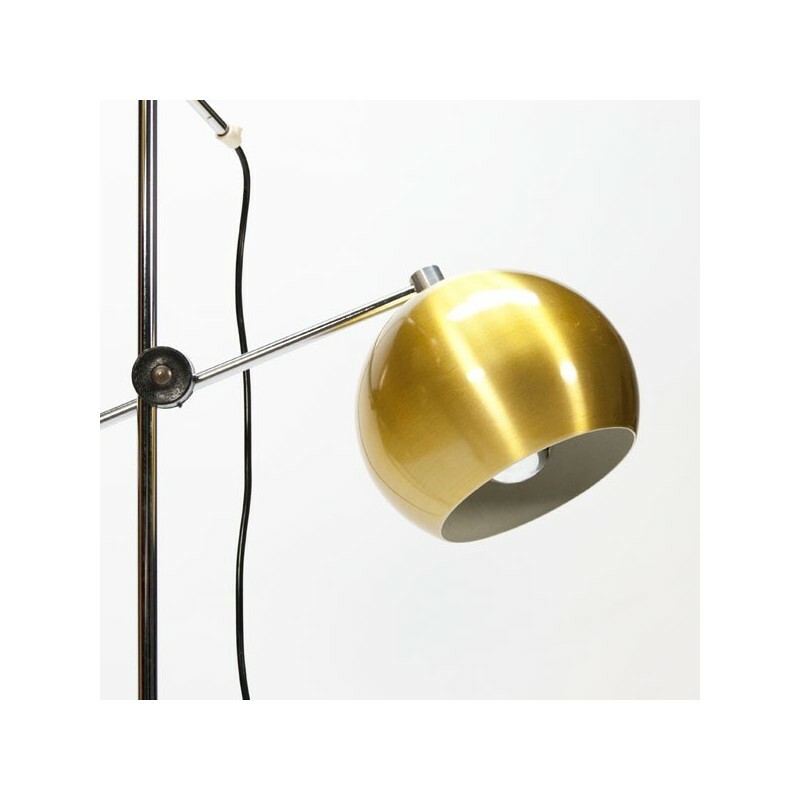 The size is 132.5 cm in height and the balls have a diameter of 18 cm.